Capernaum is in select theaters on February 8th, 2019. 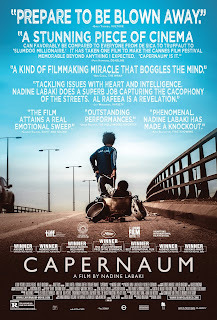 Oscar nominated foreign language film, Capernaum is a depressing and grim tale of poverty so unrelenting and hope so absent that it was difficult to watch. The film explores the painful consequences that accompany poverty; namely, settling for inferior statuses that begin from the day of one's birth, where one cannot officially register for identity documentation due to lack of resources. Engaging cinematography and impressive, powerful child actor performances helped drive it along in addition to an eclectic, compelling score. It’s a melodramatic social, realist story and it hits all the beats one expects. Devastation doesn't begin to decribe Zain's (Zain Al Rafeea) life, growing up with a large, poor family, not able to feed or afford daily expenses. As a 12 year old, the only thing in the world that makes him happy is his 11 year old sister, Sahar, who gets stripped from him and married off. This forces Zain into a very grownup position and runs away in disgust from his parents. The more he's on his own, the more the world takes from him. He settles with a young Ethiopian woman Rahil, (Yordanos Shiferaw) and her infant son, undocumented immigrants, and finds a bond he desperately hopes to hold on to. 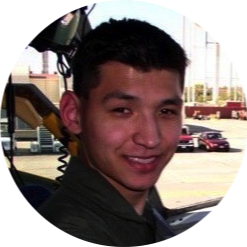 Still harboring deep resentment, scars, and vicious anger at his parents, he is faced with caring for this baby on his own after legal problems catch up with the young woman. Featuring one of the greatest performances by a child actor in recent history by Zain Al Rafeea and, has THE greatest baby performance of all time by Yonas, (Boluwatife Treasure Bankole) you have got to see it to believe it, this 1-year-old acted better than most child actors. However, director, Nadine Labaki’s intent to showcase the realism of Lebanon’s poverty is undermined by a farcical and ultimately silly framing device: the boy, Zain is suing his parents for ‘giving him life’. but the ending felt so off that I couldn't move this over three stars.